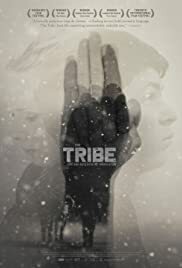 The Tribe is a remarkable movie set in a boarding school for deaf students, or more specifically its dark side. The world of bullying, violence, juvenile delinquency and prostitution. It is brutal, visceral and tragic. The dialogue is in Ukrainian sign language without any subtitles or spoken words. I expected watching such movie to be a torture. I was wrong. It is gripping, immersing, thought-provoking and quite watchable. But it does demand attentive, patient and interested viewer. When Norma Desmond, a character played by Gloria Swanson in Billy Wilder's Sunset Boulevard said: "We didn't need any dialogue, we had faces", she was part right. We really do not need dialogue to grasp the story, but we don't need faces either. We never see any close ups in The Tribe. What we do see is a bigger picture. And that's what this movie is about.